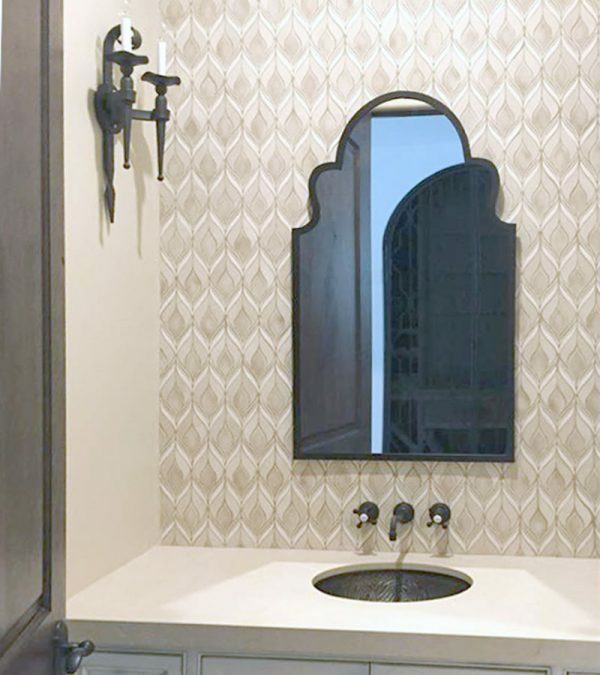 Plumage is ordered by the square foot. 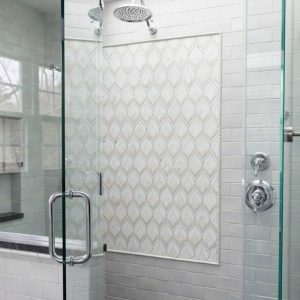 It is assembled into sheets approximately 9 5/8″ tall by 11 1/2″ wide (0.77 square feet per sheet). 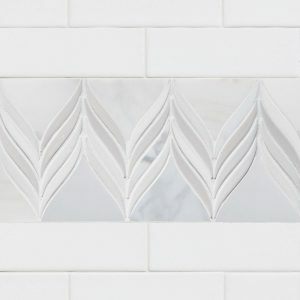 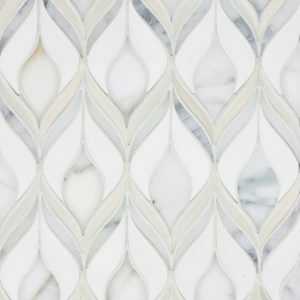 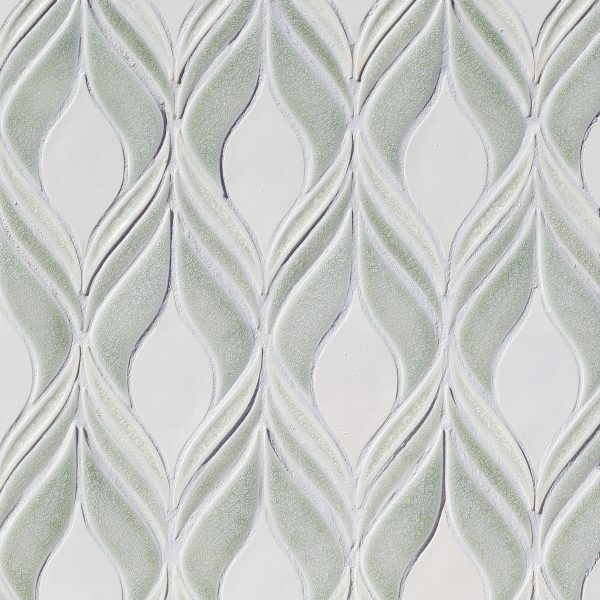 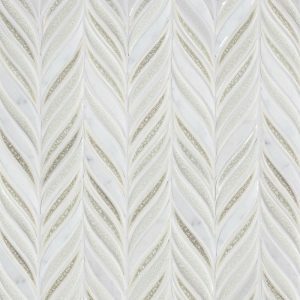 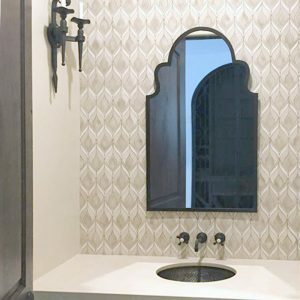 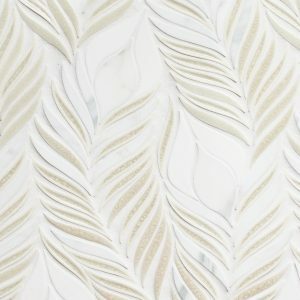 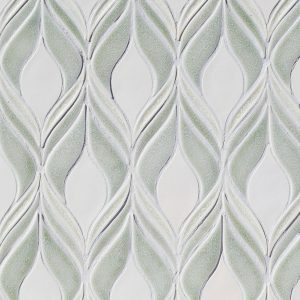 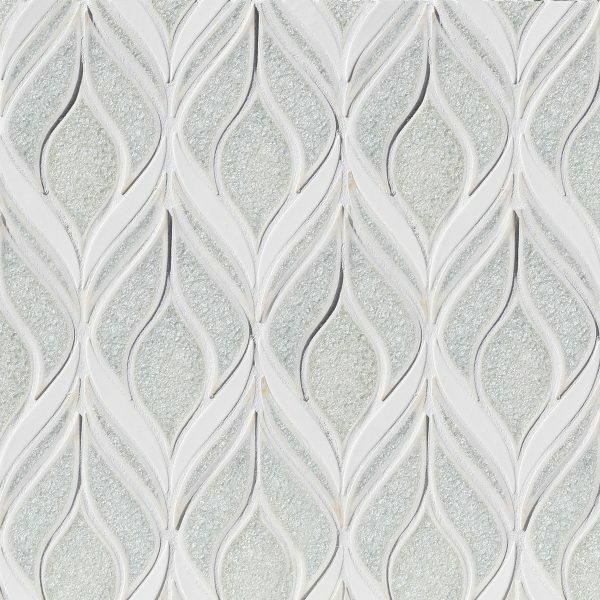 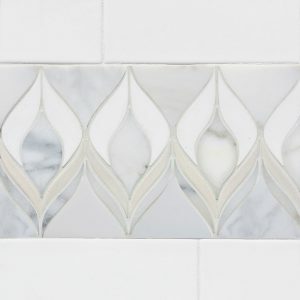 Plumage mosaic shown in Milk gloss, Calacatta marble, and Stratus matte. 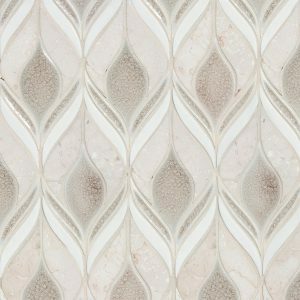 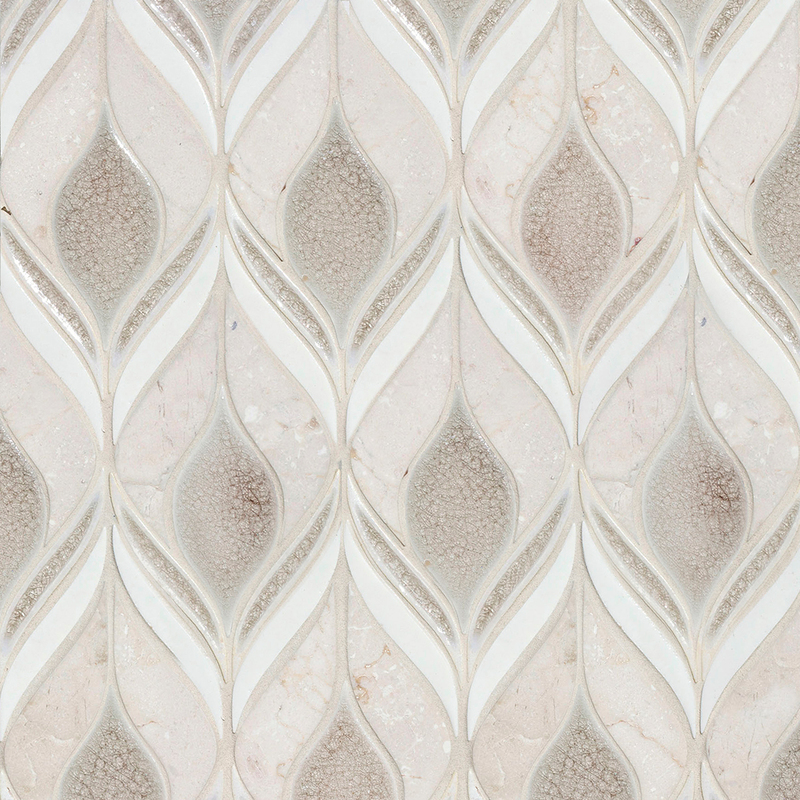 Plumage mosaic shown in Crema Marfil stone, Truffle crackle, Travertine jewel, and Brie gloss. 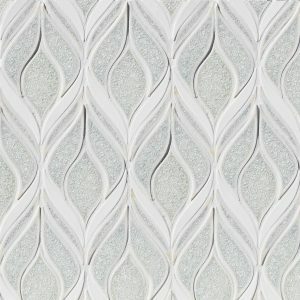 Plumage mosaic shown in Rain quartz and Milk gloss. 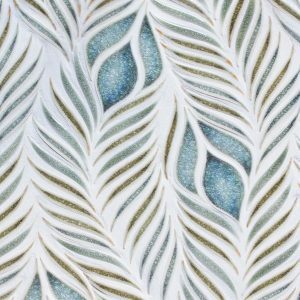 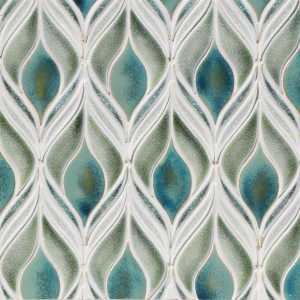 Plumage mosaic shown in Cashmere crackle, Bianca matte, and Glacier jewel. 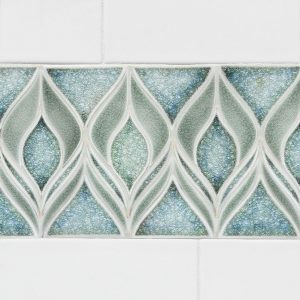 Plumage mosaic shown in Blues precocious, Stream crackle, Ocean quartz, and Fennel quartz. 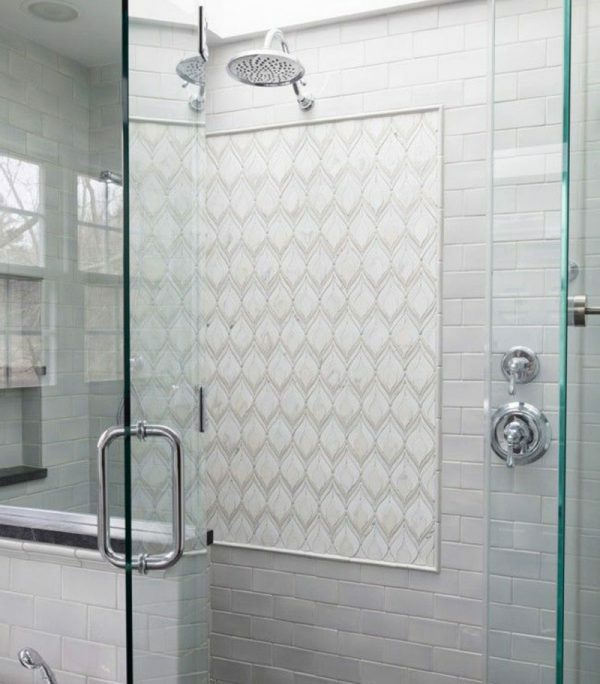 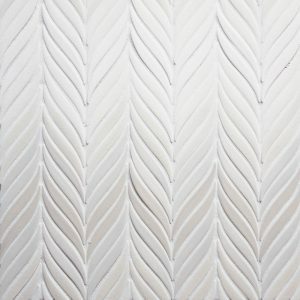 Plumage mosaic shown in this shower in Milk gloss, Calacatta marble, and Stratus matte. 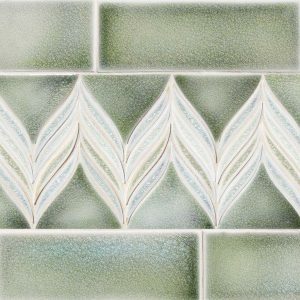 Plumage mosaic shown on this backsplash in Crema Marfil stone, Truffle crackle, Travertine jewel, and Brie gloss.